Wow. head wax, I love the colours in your image and the poses of the figures. It's almost a shame to blur them - they are so much fun to look at! But the blurring does add the humour and the sense of speed :). Here is my pre-postwork final render. I am posting the post-worked one in the entry thread. Spectator: Did you guys hear something? I love the particles system! Never really tried it before, now it's hard to set it down! This is this final render prior to post work. The particles take quite some time to render... crazy buggers. But I really like the system. Fun to set up and quite diverse. The terrain on this one was a trip. But I think I spent more time on shaders than anything else. 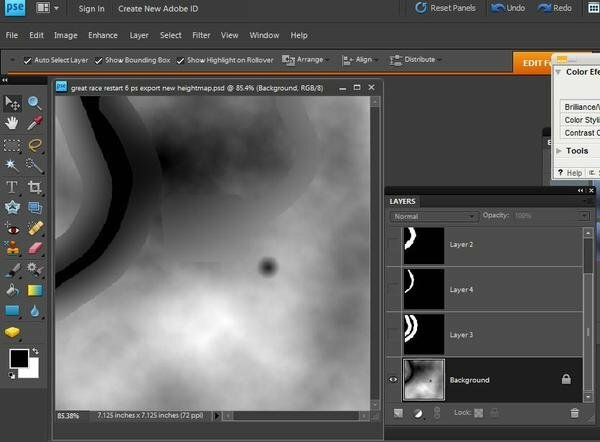 The main terrain shader - is using a layers list, with overlapping opacity masks to blend the various effects. This was a blast to work with. The final layer added is the light dusting of leaves across the whole scene. It was a challenge to get them as sparse as they are now. Mostly setting up the fractal noise generator with the right blend of contrast, brightness, and scale. Not to mention the right fractal shape. Once I got the distribution figured out, I cranked the bump intensity up to 500. The slider only goes to 250, but you can enter in higher ranges, but it automatically stops at 500. This super high bump value creates an effect that makes the leaves appear as if they're sitting slightly above the surface, which is what leaves do, due to their irregular shapes and curling affect from drying out. Unfortunately this whole feature gets lost in the motion of this image. But it all adds to the final outcome. Sun Light - For this piece I decided to used Carrara's Global Illumination. I began with a Sun light, aimed to light the whole scene, left the ambient slider in scene settings off, and turned on Gamma Correction, which I've set to 2.2, and enabled the Sun Light option, which turns on Carrara's Global Illumination. This simple setup works amazingly well on this terrain. In my opinion, the trees look quite natural, as does the rest of the terrain and its shader elements. Distant "Kick" Lights" - After adding the two vehicles on the road, I decided to give them some added kick from behind. 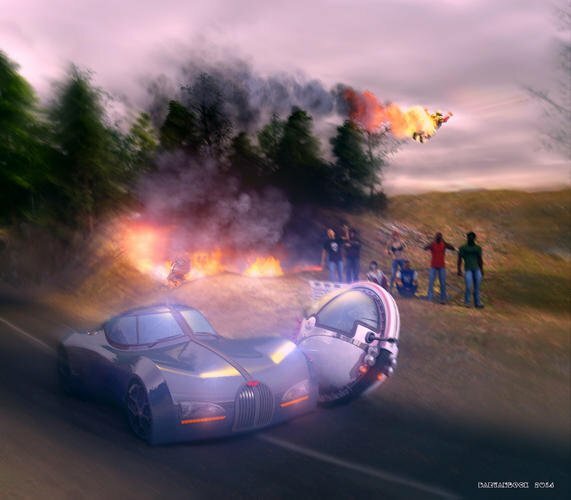 For this I added a distant light and linked it* to just the vehicles, and later added the crowd of people, other (crashed) vehicle, and the emitted particles. I love using distant lights in this way, as their placement matters not, just their angle affects where they shine, so I can pull it right in front of my render camera and adjust the angle while looking through the framed image. So for this "Kick: effect I crank the brightness up well over 100, often 180, 200, or even higher sometimes. If this begins to over-power the scene, I simply change the angle of trajectory. Then it becomes a balance of how I want that light to effect the scene angle-wise vs how bright to make it. So I tweak accordingly. While it's fairly easy to get accustomed to constant values and approximate angles - so that, for example, I'm always using 180 coming into my scene around 23 degrees off center, it's much better to take time with this light and set it specifically for each scene. Once the accident occurred, I added a second distant kick to simulate the illumination from the fire on certain subjects, just for added kick - in addition to the lighting of the flames. So I made this one highly saturated orange, very bright, and linked it to the exploding air bike, its ejected rider, and the crowd of spectators. Again, I kept this mostly aiming into the scene from behind everything, just to add some kick to the lighting already applied to the flames, so that I didn't have to try and make those lights more than they needed to be. * Linking Lights - means that they only affect that, which they are linked to. In Carrara this is handled at the top of the General tab by two radio buttons: "All Objects Except:" or "Only:" under the "Restrict Lighting To:" pane, with the handy "Add/Remove" button to select objects to be included or excluded from the light, depending upon which radio button is chosen. So If I select Only: This Box, for example, I have just 'linked' This Box to the light, and only This Box will be affected by that light. Shape Lights - Carrara 8.5 has truly opened me up to using these. Let's face it, it just isn't any fun using a shape light if you can't really see what it's doing. Or maybe that's just me. Having the new shapes to go by, I'm having a lot of fun experimenting with them, and thanks to Jeremy Birn's book, learning a lot about their use. Something I've never known: Spot lights and bulb lights originate from a single point, no matter how they end up. Shape lights originate evenly across the shape. 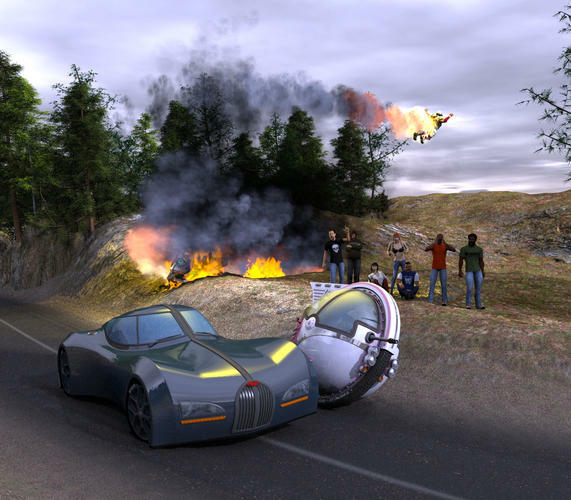 So for the fire, being a still scene, I added two oval-shaped discs of light - one for either side of the air bike. This makes the main orange glow from the flames originate from slightly larger than the space of the flames, and then cast outwards according to their angle and settings. Shape and Tube are the only types of light I know of in Carrara that allow for different types of falloff algorithms: Linear, Distance Squared, or Logarithmic. The Realistic Sky - was meant to be drab. So I used three cloud layers with high 'coverage' settings. I kept working the cloud layers until most of the sky was covered up by one layer or another - preferably all three in combination, what is where I ended up with. I really like playing around with the various controls in the realistic sky editor. Automatic fog, with variable altitude and denseness, is just a great feature to have for hiding an otherwise barren horizon. Combine that with some clouds and... bam! I know that the clouds in the RSE get a bad rap from some users. Perhaps there are other issues at hand. But I think that the clouds are quite useful, are very fast, and add to (or rather - take away from) the global lighting, as they should, while still being fast... that's pretty cool. Let a few of these fill up the background sky, and plunk in a single, large and dispersed volumetric cloud to add the fluffy, fine details that they add. One of my favorite features of the RSE, however, is how nicely it allows us to set the lighting simply by setting where the sun is in the sky. That's just cool. Well there is some amazing work here !! Loving Antara's emotive take - it's a visual poem in a metaphorical sense. Metaphors abound. And really interesting use of the terrain editor. Late to comment on this...but am grateful for the clear steps you show in creating your terrain. It's a great addition to the tut that Dart started on making terrains a couple of weeks ago. I find working with the Carrara terrain map tool a real challenge that will require a lot of practice.... but it's so useful and versatile it will be worth it.. If an artist learns post work then they are going to save themslves a lot of mucking around in the long term. Lots of new artists think one tool eg Carrara can do everything..... unfortunately not true . It's a lesson lots of people don't learn. At the very least, post work can give you lost and found edges. Some of us want to lose the details. Oh I know... I use PS all the time and along with Illustrator it has been my bread and butter for 10 years! I am just amazed at the detail and quality of the Carrara work, its products, and the artists' created material I see here. Yours especially included. Post Work is valuable and necessary for defining expression or muting it, adding useful content that would be 3D problematic / time consuming, and giving that finishing touch. I just love seeing the real images from the viewpoint of someone who is learning Carrara and am so impressed by what can be achieved just using its tools. Definitely agree that in the real world that artists should not spend time trying to get Carrara to do what PW would do easily as well or with more effect. 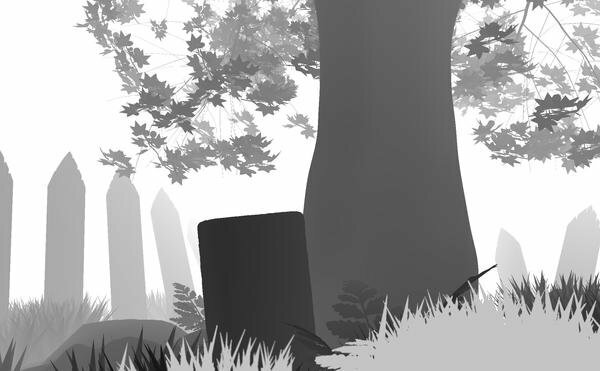 I add 2D elements to my scenes all the time. Some subtle, some not. I wasn't ready to create a 3D group of voracious ravens or vultures harassing the hunters or cave lion, or adding more lichen for the reindeer on the grass to graze, or more haze in the mountains, in my entry....so I didn't bother as it would have taken forever and may not have looked right. I thought of doing them in PW, but was happy enough as a newbie not to over-do the scene. Just entered for fun and to hopefully see other newbies join in. Just a quick reminder that the entry thread will be converted to the voting thread in a couple of days. Some wonderful WIPs have yet to be entered so this is just a gentle nudge, and a not so subtle attempt to keep the Challenge post near the top of the forum. On a different note - Hey, Headwax and SileneUK! What is with reaching an amicable understanding and mutual respect? There shall be no harmony in this WIP thread. So, to get the pot stirring again, there seems to be a lot of focus on how light particles “really” bounce, and getting “realistic” skintones with subsurface scattering, and how the periphery appears blurred in the “real” world. Well, to using “reality” as a guide for art, I quote “Without art, the crudeness of reality would make the world unbearable.” (George Bernard Shaw) So why should realism be valued? But, to the scoundrel who quotes Shaw in a Carrara WIP thread, I quote this description of Shaw, “It is his life’s work to announce the obvious in terms of the scandalous.” (HL Mencken) And to lurkers, I quote Shaw again “Silence is the most perfect expression of scorn.” But you already know how I feel about scoundrels who quote Shaw. Actually, I don’t mean any of that. I am very impressed by the images in the entry thread thus far. My eye keeps coming back to the cracks and shoulders of the road surface in Kashyyk's police chase, the balloons in Stezza's steampunk race, the flags in Varsel's ?horse? race, the drape of the body of the antelope in the bigcat's mouth in SilineUK's hunt,.... There is something in each image that interests me (except that cowboy with the rifle looking at the fence ;-) ). There are some elements of realism and some of pure fancy, but I enjoy them all. On the other points... yeah... very nice work going on here... wow! I'm loving the entries and the WIPs! Brilliant! Agreed. Diomede64, You truly are a brilliant contest host. Last night I didn't have enough time to type much into my last WIP post, so I've updated it with Lighting WIP information. I updated it again with more thoughts around the making of this scene. When I entered my image to the Entry thread, I noticed that folks where linking to their WIP posts. In finding my few posts among so many pages, I've seen a lot of stuff that I've missed throughout the duration of the WIP stage of the contest, which is, in fact, still going. But I saw so much valuable information in here, that it made me recall how awesome and helpful each of these contest WIPs have been. I checked out my modest entry about my terrain height creation and, while I like what I've presented, I thought that I could do much more. This will be my final WIP for this image. I do have another idea that may come together a little more quickly, so we'll see if I can squeak it in before the voting begins. If not, then I'll post it in the render thread. 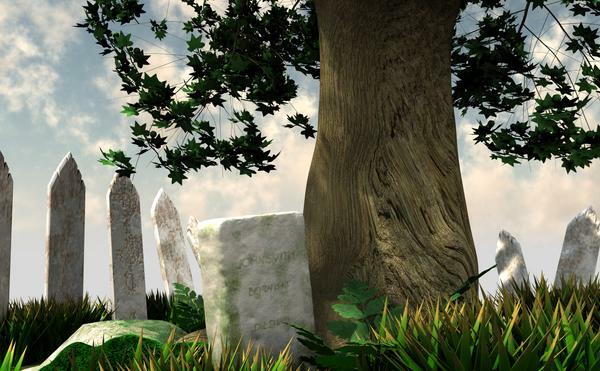 I edited the shaders on the tombstone to get them a little closer to how I envisioned it. Speaking of shaders, I'm very happy with the shaders on the fence pickets. If anybody wishes, they can DL it from Dropbox. They were set up in a medium sized scene, just so you're aware that if you use it in a large or small scene, the scale of some the effects may need to be changed. 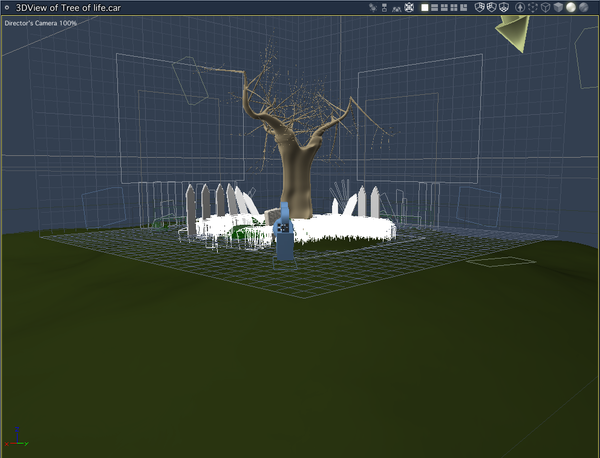 The scene was set up with an inserted terrain which I adjusted somewhat. The terrain was one that I had made for another purpose and tweaked for this entry. Because only a small portion of the terrain would be visible, I used the 3D paint tool to paint a distribution map for the spline grass I made. The carpet moss is a re-purposed model I made a couple years ago out of meta-ball objects, dynaimc hair and a surface replicator for the spore thingies. I used a realistic sky and volumetric clouds for the atmosphere and rendered using the Skylight. I rendered a depth pass, which I used to add a DOF in Photoshop. I wanted a bit of a foreground blur, so I selected some grass clumps and "painted" them a light shade of gray to force Photoshop's lens blur filter to add a foreground blur. The first color image has no postwork and the last color image has the DOF added. I didn't do any other postwork to the image. I'm posting this separately because I didn't want to have it get lost in my last post. I just wanted to say that there are some really great pictures in this thread and the final entry thread as well. More importantly, the WIPs have some great explanations as to what is trying to be achieved and the steps that were taken to get there. It was also very gratifying to see some Carraraists participate in this challenge that haven't done so before. It takes a bit of bravery to put yourself out there. You have done yourselves and Carrara proud! To the newer users that entered, I'm especially grateful. These challenges were originally designed to try and entice new users to try some of the more complex or lesser understood tools Carrara has in it's toolbox. The challenges were never meant as a vehicle for the more advanced users to gain more bragging rights, but rather to foster interaction and learning amongst the community and to show off what Carrara can do, so that others that aren't familiar with this diamond-in-the-rough of a program may be inspired to try it and increase its sales and viability in the future. I know I'm not the host of this challenge, but I still want to say thank you to all posted WIPs and/or entries. I also wish to thank our illustrious host for a damned fine job. Let's also give some love to our fine sponsors! sorry Lauren, I have spent a few years listening to people soap box about the evils of post work. I agree that postwork is your friend. There are times when it can be over-done, but that isn't a problem you seem to have. Great entry! Great job done by all..
~~ but the framing didn't look right. I wanted more of an intimate scene and if I pulled back I lot the feel. I can feel that too. As killer as the tree is, it's not the focus of the theme, right? The plus side... it looks awesome! Wow, Stezza has some really nice work in there too. So does HeadWax, Diomede, Silene... Okay... once again... I like them all! I'm also glad to see Totte in here. I think he's new to Carrara, but has been with DAZ for a while? Nonetheless, I'm glad that I was actually able to attend this time around. I'm really grooving on these contests. The final entry threads are fantastic, but the WIP threads are getting quite full of great inspiration for new techniques, with a final entry to enjoy the final result of the toils. Such a variety of different things going on each month... I'm loving this! Mike Moir, Thanks for sponsoring. And Diomede64, great job of encouraging folks to take part in your challenge, and coming up with the scenario. Very cool! Actually, I'd also like to thank all of the previous contest creators (and contestants) and the sponsors too. updated post on page 16.. This will be my last WIP for my Mad, Mad, Mad, Mad, race entry. I inserted a terrain, used Carrara's terrain editor to dig the hole, exported the map, used Photoshop layers to make the road, parking lot, and stream, as well as some shader masks, I then imported the adjusted heightmap back into Carrara's terrain editor and used a layers list to adjust the terrain shader for the parking lot and the stream. 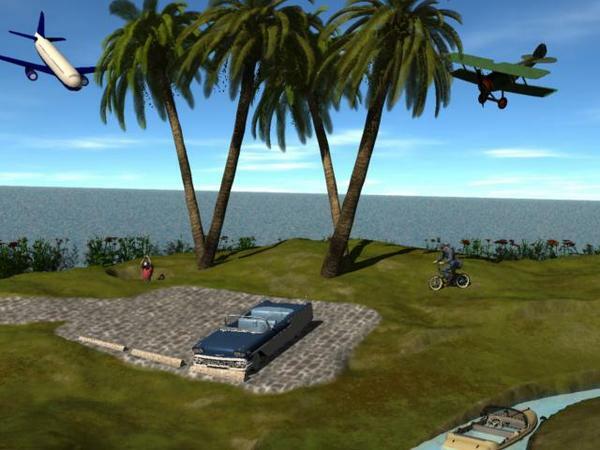 I used a lot of 3rd party content, including the palm trees from Lisa Botanicals, other foliage from LB, the cars are the 58 Impala and the 36AM Sedan, the bike is the BMX bike, one plane is from the default content browser and one is the Daz biplane. I had to retexture the 36am sedan to turn it into a convertible, and retexture the biplane to replace the RAF decals. The two human figures are Poser5Don and Daz's M3, both retextured, and I made a set of workman's overalls for M3. If I manage to squeeze in the time, there are more characters and scenes I'd like to pay tribute to, but the deadline will be approaching soon. I'd really like to get Ethel Merman in there if I can. Great job everyone. You made this a very enjoyable month for me. Hahaha!!! My money is on "New South Wales." Great entries here, across the board. I'll have to ponder my votes carefully.